February 20, 2013, press release, via LTE-Depot. L8580 is the fastest, coolest, integrated Application Processor and LTE Advanced Modem platform based on 28nm FD-SOI process technology. Geneva, February 20, 2013 – Next week at Mobile World Congress in Barcelona, ST-Ericsson, a world leader in wireless platforms and semiconductors, will demo the NovaThor™ L8580 integrated smartphone platform with a 3Ghz eQuad™ application processor and a multimode LTE Advanced modem supporting Carrier Aggregation. By demonstrating the L8580 at this speed, ST-Ericsson is revealing the world’s fastest smartphone processor and validating the company as an innovator in the wireless market. The initial commercial version of the NovaThor L8580 integrates an eQuad 2.5GHz processor based on ARM Cortex-A9’s, a powerful Imagination PowerVR™ SGX544 GPU running at 600Mhz and an advanced multimode LTE modem supporting Carrier Aggregation on a single 28nm FD-SOI die. Aggregation the L8580 addresses device manufacturers’ needs for a simple and cost effective solution to build global LTE smartphones with the smallest number of manufacturing variants. The complete platform includes outstanding multimedia performance and pre-integrated connectivity with support for Bluetooth™, GNSS (GPS+ GLONASS), FM, WLAN, WiFi Direct™, Miracast™ and NFC. With ST-Ericsson’s connectivity solutions, CG2905 and CW1260, the platform comes optimized for wireless radio co-existence and low power consumption. The NovaThor L8580 is pin-to-pin and Software compatible with ST-Ericsson’s first generation NovaThor LTE multimode platform the L8540. The NovaThor L8580 will be demoed at Mobile World Congress in the ST-Ericsson Public Booth in Hall 7 (#E111) and, by appointment only, in our Private Pavilion in Hall 2 (#D90). SAN DIEGO – February 21, 2013 – Qualcomm Incorporated (NASDAQ: QCOM) today announced that its wholly-owned subsidiary, Qualcomm Technologies, Inc., introduced the Qualcomm RF360 Front End Solution, a comprehensive, system-level solution that addresses cellular radio frequency band fragmentation and enables for the first time a single, global 4G LTE design for mobile devices. Band fragmentation is the biggest obstacle to designing today’s global LTE devices, with 40 cellular radio bands worldwide. The Qualcomm RF front end solution comprises a family of chips designed to mitigate this problem while improving RF performance and helping OEMs more easily develop multiband, multimode mobile devices supporting all seven cellular modes, including LTE-FDD, LTE-TDD, WCDMA, EV-DO, CDMA 1x, TD-SCDMA and GSM/EDGE. The RF front end solution includes the industry’s first envelope power tracker for 3G/4G LTE mobile devices, a dynamic antenna matching tuner, an integrated power amplifier-antenna switch, and an innovative 3D-RF packaging solution incorporating key front end components. The Qualcomm RF360 solution is designed to work seamlessly, reduce power consumption and improve radio performance while reducing the RF front end footprint inside of a smartphone by up to 50 percent compared to the current generation of devices. Additionally, the solution reduces design complexity and development costs, allowing OEM customers to develop new multiband, multimode LTE products faster and more efficiently. By combining the new RF front end chipsets with Qualcomm Snapdragon all-in-one mobile processors and Gobi™ LTE modems, Qualcomm Technologies can supply OEMs with a comprehensive, optimized, system-level LTE solution that is truly global. As mobile broadband technologies evolve, OEMs need to support 2G, 3G, 4G LTE and LTE Advanced technologies in the same device in order to provide the best possible data and voice experience to consumers no matter where they are. Dynamic Antenna Matching Tuner (QFE15xx) – The world’s first modem-assisted and configurable antenna-matching technology extends antenna range to operate over 2G/3G/4G LTE frequency bands, from 700-2700 MHz. This, in conjunction with modem control and sensor input, dynamically improves the antenna’s performance and connection reliability in the presence of physical signal impediments, like the user’s hand. Envelope Power Tracker (QFE11xx) – The industry’s first modem-assisted envelope tracking technology designed for 3G/4G LTE mobile devices, this chip is designed to reduce overall thermal footprint and RF power consumption by up to 30 percent, depending on the mode of operation. By reducing power and heat dissipation, it enables OEMs to design thinner smartphones with longer battery life. Integrated Power Amplifier / Antenna Switch (QFE23xx) – The industry’s first chip featuring an integrated CMOS power amplifier (PA) and antenna switch with multiband support across 2G, 3G and 4G LTE cellular modes. This innovative solution provides unprecedented functionality in a single component, with smaller PCB area, simplified routing and one of the smallest PA/antenna switch footprints in the industry. RF POP™ (QFE27xx) – The industry’s first 3D RF packaging solution, integrates the QFE23xx multimode, multiband power amplifier and antenna switch, with all the associated SAW filters and duplexers in a single package. Designed to be easily interchangeable, the QFE27xx allows OEMs to change the substrate configuration to support global and/or region-specific frequency band combinations. The QFE27xx RF POP enables a highly integrated multiband, multimode, single-package RF front end solution that is truly global. OEM products featuring the complete Qualcomm RF360 Solution are anticipated to be launched in the second half of 2013. Qualcomm also announced today a new RF transceiver chip, the WTR1625L. The chip is the first in the industry to support carrier aggregation with a significant expansion in the number of active RF bands. The WTR1625L can accommodate all cellular modes and 2G, 3G and 4G/LTE frequency bands and band combinations that are either deployed or in commercial planning globally. Additionally, it has an integrated, high-performance GPS core that also supports GLONASS and Beidou systems. The WTR1625L is tightly integrated in a wafer scale package and optimized for efficiency, offering 20 percent power savings compared to previous generations. 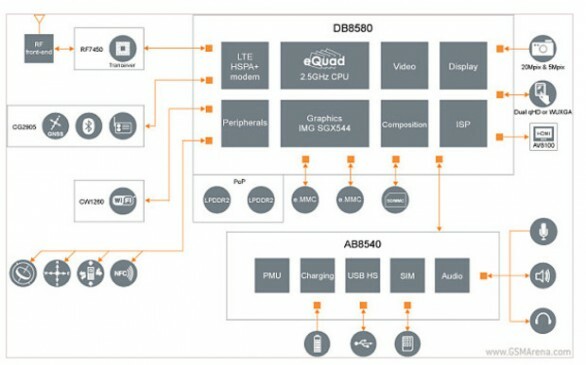 The new transceiver, along with the Qualcomm RF360 front end chips, is integral to Qualcomm Technologies Inc.’s single-SKU World Mode LTE solution for mobile devices that are expected to launch in 2013. After more than 50 rounds of bidding, Everything Everywhere Ltd, Hutchison 3G UK Ltd, Niche Spectrum Ventures Ltd (a subsidiary of BT Group plc), Telefónica UK Ltd and Vodafone Ltd have all won spectrum. TOKYO, JAPAN, February 19, 2013, via LTE Depot --- NTT DOCOMO, INC., Japan’s leading mobile operator and provider of integrated services centered on mobility, announced today that subscribers to Xi™ (pronounced “crossy”), the company’s extra-high-speed LTE mobile service offering a maximum downlink of 100 Mbps, surpassed ten million on February 18. Subscriptions to Xi have been growing rapidly since its launch as one of the world’s first commercial LTE services on December 24, 2010. Subscribers reached one million in December 2011 and then quickly topped five million in August 2012. DOCOMO supports its LTE customers with a wide variety of advanced devices, including 32 smartphones, six tablets and seven data terminals so far. DOCOMO continues to expand LTE coverage and raise data transmission speeds, including by making the 112.5 Mbps downlink available in 22 cities by March and more than 50 cities by June. LTE base stations offering a 75 Mbps downlink, double the current speed in many locations, will amount to 4,000 by March and then jump to 10,000 by June. DOCOMO also plans to introduce a 150 Mbps downlink service before March 2014. Going forward, DOCOMO is determined to further enhance customer satisfaction with its extensive Xi device lineup and increasingly extra-high-speed service. 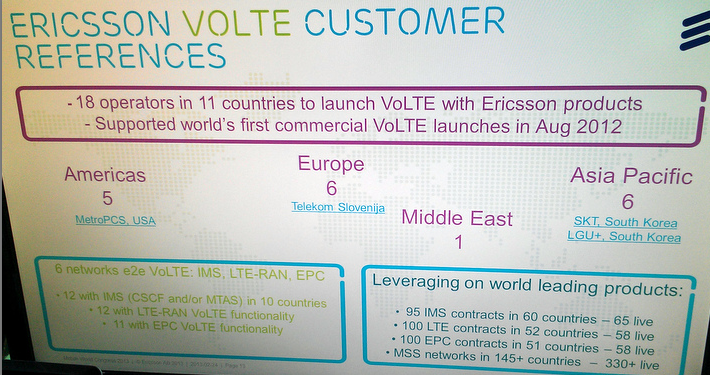 2013.02.13 Press-release, via LTE Depot. AIR 32 allows multiple active frequencies in a single unit, enabling a 50-percent reduction of radio equipment Consumers' increasing demand for mobile broadband is forcing operators to build out their networks for greater coverage, capacity and speed. However, existing sites can be full of equipment, introducing new units can increase site-rental costs, and regulations, zoning and permit processes can lead to long delays in the rollout of new sites. To help operators overcome these issues, Ericsson (NASDAQ: ERIC) today announced the launch of AIR 32 - an innovative new addition to the AIR portfolio - which will be showcased during the Mobile World Congress (MWC) 2013 in Ericsson Experience in Hall 2 in Barcelona, Spain. AIR addresses operator challenges by allowing for the introduction of LTE and HSPA without requiring additional antennas or radio units to be added to network sites. The highly integrated nature of the AIR product portfolio enables a faster, easier, high-quality installation, which minimizes revenue losses and the need for additional site visits. In addition, AIR 32 allows multiple active frequencies in a single unit, enabling a further 50-percent reduction of radio equipment. T-Mobile USA is currently using AIR in its ongoing network transformation program, and by doing so, it has experienced substantial improvements in ease of network deployment and performance. Neville Ray, chief technology officer, T-Mobile USA, says: "We are currently deploying Ericsson's AIR 21 product and are very excited about the benefits we are seeing. It offers a fast-track way of getting mobile broadband services such as LTE into the marketplace. We can save months in terms of deployment with this product on a per-site basis. In addition, there are many performance gains and benefits in radio performance that will enhance the user experience of mobile-broadband services. We look forward to learning more about the capabilities of the new AIR 32." Thomas Norén, Vice President and Head of Product Area Radio, Ericsson, says: "Improving the user experience by providing superior mobile-broadband performance is one of the top priorities for today's operators. Thanks to its improved radio performance, AIR 32 increases coverage, capacity and speed to the benefit of subscribers. This also leads to increased customer loyalty and a reduced churn rate for operators." The two most important network aspects for customer satisfaction are coverage and speed. Compared with existing AIR products, AIR 32 enables up to 70 percent higher throughput, substantially improving consumer experience of mobile-broadband services. This is achieved by enabling up to four simultaneous transmission streams, over the AIR 32 4x4 multiple-input, multiple-output configuration. AIR 32 also offers up to 25 percent increased indoor coverage compared with existing AIR products. This substantially improves the reliability of indoor mobile-broadband services. Considering that an estimated 70 percent of all data traffic occurs indoors, improved indoor coverage is vital for an enhanced user experience. AIR was first launched during MWC 2011 as the world's first solution that compactly integrates the radio unit and the antenna. Today, it is in full serial production, available in multiple versions and bands, and deployed at major customers in high volumes worldwide. During Mobile World Congress 2013 in Barcelona, Ericsson showcases its combined technology and services leadership for the Information and Communications Technology industry. Our solutions deliver superior network performance in the field, enable complete customer experience management, simplify and automate operations workflows thereby leading to operational excellence. We show how the Networked Society comes to life - what it will mean for the industry and how it will enable our customers to capture growth opportunities. Broadcom Corporation (NASDAQ: BRCM), a global innovation leader in semiconductor solutions for wired and wireless communications, today introduced the industry's smallest 4G LTE-Advanced modem. Designed for the 4G LTE market, Broadcom's multi-mode, multi-band solution — the BCM21892 — delivers the features, power and performance capabilities for the development of next generation 4G LTE smartphones and tablets. Broadcom will showcase its 4G LTE innovations at the upcoming Mobile World Congress show in Barcelona, February 25-28. For more news, visit Broadcom's Newsroom. Compliant with all 3GPP specifications, the BCM21892 combines a full-featured cellular baseband with a world-band radio in a footprint that is approximately 35 percent smaller than current industry solutions. Advanced power management techniques save up to 25 percent of the power typically consumed during data transmissions to the network. The new modem also supports LTE Category 4 speeds of 150Mbps, operates in any 3GPP network and performs seamless hand-offs between the various 4G LTE, 3G and 2G interface technologies. "Broadcom's new 4G LTE modem combined with our Wi-Fi, Bluetooth, GPS and NFC technologies gives OEMs all the communications technologies needed to build advanced devices that will offer consumers the features, speed and functionality they demand in their next smartphone purchase," said Robert A. Rango, Broadcom Executive Vice President and General Manager, Mobile and Wireless Group. "Broadcom's 4G LTE modem will also help carriers drive new 4G LTE features, such as carrier aggregation, into commercial networks." According to Peter Cooney, ABI Research, "4G LTE coverage is clearly seen as a competitive differentiator by carriers to meet consumer demand for better performance, and as network rollouts accelerate worldwide, manufacturers are responding with products for these markets. Based on its success in executing and integrating baseband processors, Broadcom is well positioned to deliver the latest mobile broadband technologies for these next generation devices." A baseband with support for all current 3GPP standards technologies including LTE FDD and TDD, LTE-Advanced with carrier aggregation, HSPA+, TD-SCDMA and EDGE/GSM. An integrated world-band radio that can support virtually any designated 3GPP LTE frequency band and combination, a critical capability as operators prepare their networks for 4G LTE roaming. The radio also deploys advanced power management techniques that can save up to 25 percent of the power typically used when sending data to the network. A Voice over LTE (VoLTE) solution that enables high-definition voice calls over a mobile broadband connection — a key requirement of operators as they transition from legacy networks. Broadcom's VoLTE service consumes approximately 40 percent less power than a comparable WCDMA voice call. Enhanced interoperability with Broadcom's wireless coexistence technology, which minimizes the possibility of radio interference between Wi-Fi, Bluetooth and 4G LTE, and enables carriers to provide a richer Wi-Fi offload experience. Ability to interface with a broad range of stand-alone applications processors, allowing OEMs to design the 4G LTE solution into a wide variety of mobile devices. BCM21892 is now sampling to early access customers, with anticipated production in 2014. Plus zakończył pierwszą fazę modernizacji swojej sieci, dzięki czemu dostęp do superszybkiego internetu w technologii LTE posiada już ponad 50% mieszkańców Polski, a w zasięgu HSPA/HSPA+ znajduje się przeszło 93% populacji naszego kraju. Rozpoczęta w październiku 2012 roku modernizacja sieci Plus zaowocowała wzrostem zasięgu usług mobilnego internetu LTE z poziomu 35% do 50%, a HSPA/HSPA+ z 87% do 93%. Oznacza to, że z najszybszej mobilnej technologii na świecie może korzystać już blisko 20 mln osób, zaś z usług HSPA/HSPA+ blisko 36 mln mieszkańców naszego kraju. Zwiększenie zasięgu w technologii LTE powiązane jest z wprowadzeniem w ofercie Plusa specjalnej oferty zachęcającej klientów do jej przetestowania. Ofertę można testować przez 7 dni. Przez pierwsze 30 dni abonament za internet wynosi 0 zł. W przypadku rezygnacji Plus zwróci wszystkie koszty prócz opłaty aktywacyjnej (która wynosi tylko 9 zł). W ramach oferty szczególnie promowany będzie modem LTE Huawei E 3276 (umożliwiający transfer danych do 150 Mb/s) oraz router domowy LTE Huawei B 593 (umożliwiający transfer danych do 100 Mb/s). Docelowo, do końca 2014 roku, w zasięgu LTE ma się znaleźć 66% mieszkańców Polski, w technologii HSPA/HSPA+ praktycznie cała populacja - aż 99%. Pozwoli to zaoferować najnowocześniejsze usługi operatora na maksymalnie największym obszarze kraju, zarówno w wielkich aglomeracjach miejskich, jak i mniejszych miejscowościach. Za rozbudowę odpowiadają spółki NFI Midas oraz Polkomtel, który udostępnia swoja strukturę dla nowych stacji LTE i HSPA+. Plus jest jedynym polskim operatorem komórkowym oferującym ultraszybki dostęp do internetu LTE i wraz z Cyfrowym Polsatem znalazł się w gronie pionierów tej nowoczesnej technologii. February 2, Xinhua News (translated by Google Translation) China's first 4G (TD-LTE) business commercial trial led to a high degree of concern in the industry, also sparked interest in the 4G trial commercial way Hangzhou and Wenzhou began Telephone Number, Zhejiang Mobile in two places use the 4G terminal high-speed gateway (CPE) and 4G Internet companion (MiFi), TD-LTE signal into WiFi signal. Is learned, the TD-LTE network card and TD-LTE phone this year will reach initial commercial conditions. EE, the UK’s most advanced digital communications company, today announced that 4G is available in nine new areas across the UK, bringing the total number of towns and cities covered by superfast mobile technology to 27, just 90 days after the launch of the service. Today, 4G is being switched on in Amersham, Bolton, Chelmsford, Hemel Hempstead, Southend-on-Sea, Stockport, Sunderland, Sutton Coldfield and Wolverhampton. 4G from EE now covers the homes and businesses of approximately 45% of the UK population. Superfast 4G mobile is approximately five times faster than 3G. 4GEE mobile customers can instantly access the web on the go, download large email attachments quicker than ever, watch live TV on mobiles without buffering, make high quality video calls on the move and play live multiplayer games on the go. EE customers have access to a wide range of mobile handsets, tablets and mobile Wi-Fi devices, including iPhone 5, Samsung Galaxy SIII LTE, iPad mini, Huawei Mobile Wi-Fi, and the newly launched Blackberry Z10, available from EE stores today. As well as bringing 4G to new areas, EE continues to increase the network density* of its 4G offering, ensuring the continued advancement of the service in the previously launched towns and cities. As a result, users will find they have increasingly consistent, superfast access to 4G wherever they travel, and during their commutes to work. This continued investment is enabling businesses and consumers to have the full, superfast 4G experience of web, social media, email and multi-media, wherever they are. 31 January 2013, Shenzhen, China – ZTE Corporation (“ZTE”) (H share stock code: 0763.HK / A share stock code: 000063.SZ), a publicly-listed global provider of telecommunications equipment, network solutions and mobile devices, today announced it completed the world’s first download test using carrier aggregation (CA) technology in a commercial environment. The test was conducted in collaboration with Guangdong arm of China Mobile and took place in an outdoor TD-LTE network environment. It achieved a peak single-user download rate of 223Mbps at an uplink and downlink sub-frame ratio of 1:3. The special time slot ratio during the test was 10:2:2. In accordance with China Mobile specifications, a continuous networking environment was used for the test. The test also utilized carrier aggregation (20M+20M) technology to verify key technical points like cell peak rate and mobility. ZTE is a leader in TDD and TD-LTE technology. By the close of 2012, ZTE had built TD-LTE pilot offices and commercial networks in collaboration with 42 leading global operators from 30 countries in Europe, India, the CIS, Asia-Pacific and Southeast Asia. SaskTel today announced that it will invest approximately $400 million in overall capital expenditures in 2013, with approximately $216 million dollars being allocated towards its core Saskatchewan network. SaskTel also announced that it will launch its 4G LTE network January 31, with service at launch available in Regina, Saskatoon, Clavet, Dundurn, Langham, Lumsden, Martensville, Osler, Pense, Vanscoy, Warman, and White City. At launch, SaskTel 4G LTE coverage will have twice the towers and up to 33% more speed compared to any other provider in Saskatchewan. Throughout 2013 the 4G LTE network will also be extended to Dalmeny, Balgonie, Estevan, Moose Jaw, North Battleford, Prince Albert, Swift Current, Weyburn and Yorkton.